Her polished and manicured nails tapped, gestured, and pointed like laser beams as she chatted. His eyes followed their movements. 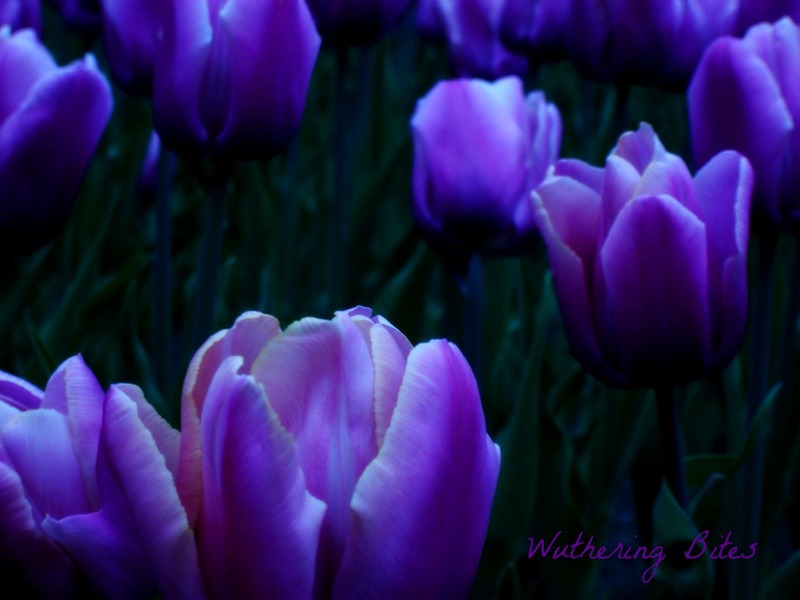 They were mauve, like the tulips marching up the sides of the gravel driveway, with rounded tips, paler underneath, slivered crescents of colour that she dug her thumb nail under, flicking and clicking as she read her women’s magazine. She licked her index finger to turn the page. Watching her made him hungry. He picked up the Easter issue of Chatelaine. The cynosure of food photography teased him. Maybe they should try something new, get the juices flowing. “Creamy Turkey Penne with Brussel Sprouts” would jump-start the conversation – although the recipe didn’t match her nails. Or he could try the “Roast Lamb Turkish Pizzas”, a little Kasbah Italienne Alfresco with a nice Merlot. (Does one dine Alfresco or Alfredo?) Or should it be white wine with lamb pizza – a nice fidgety Pinot Grigio? He didn’t know. A beer would be good. He was such a bum. It was a mystery what she saw in him, except he could cook. Recipes were like architectural drawings or landscape plans. Step by step and – voila – romance on a plate! Thank god, the pressure was off, but he still didn’t know what wine to buy. This entry was posted in Flash fiction, Lady Smock and tagged Alfredo, cook, cooking, manicured nails, Pizza, recipes, romance, women's magazines, word of the day. Bookmark the permalink. These two characters are such a mismatched pair! Harry should have his beer and the Lady should choose her own wine. Hmmmp! Harry is a pleaser. He’ll have to learn the hard way there’s no pleasing Lady Smock. Brilliant! I hadn’t thought of a zippy Zin! What kind of music goes with Zinfandel and sausages on the BBQ? Hmmm. Harry might like it but Lady Smock has pretensions. I had to look that up. It looks good! Merlot! Merlot! For God’s sake! Merlot would match the nails! Thank you. Merlot is the best choice, unless Lady Smock decides to remove the polish. It could happen you know.